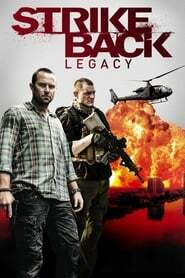 From the tropical beaches of Thailand to the towering peaks of the Swiss Alps, Strike Back: Legacy thrusts Section 20 onto a mission the scale of which has never been seen before as this season Scott & Stonebridge go up against the state sanctioned criminal wing of the North Korean regime, known as Ofﬁce 39. Coordinated by a beautiful and devoted North Korean agent deeply embedded in the British Establishment, Han Li-na is secretly assembling intercontinental ballistic missiles capable of wiping out Washington and London. Putting a stop to the threat posed by North Korea becomes Section 20’s undoing when, in a bid to ease escalating global tensions, Sir Charles Ridley a senior figure within Whitehall, brokers a deal with North Korea to eliminate Section 20.